Drivers in the state of Delaware have given their implied consent to submit to a chemical test (blood, urine or breath test) when asked to do so by a law enforcement officer who has probable cause to believe they are operating a motorized vehicle under the influence of alcohol or drugs. The state contends that DUI can include operating or having actual physical control of a vehicle, an off-highway vehicle, a moped or a bicycle while under the influence of intoxicating liquor or of any drug. Drivers who refuse to submit to the chemical test or who have a blood alcohol concentration above the illegal limit of 0.08% will face a license suspension. After the DUI arrest the police officer will confiscate the drivers license and issue them a temporary permit which will allow them to drive for 15 days. Did the officer have probable cause to believe that the driver was impaired by alcohol or drugs? Is there a preponderance of evidence that the driver was driving under the influence of alcohol or drugs? The court will consider a valid blood test (with a BAC of 0.08% or higher) to be conclusive evidence that the driver was under the influence of alcohol. Did the driver refuse to take the blood alcohol concentration test and did the police officer notify them of their penalties for the test refusal? Drivers who lose at the administrative hearing will have their license suspended for 3 months if they fail the chemical test (first offense), 12 months for a second offense and 18 months for a third offense. Drivers who refuse a chemical test will have their license suspended for 12 months for a first test refusal, 18 months for a second BAC test refusal and 2 years for a third BAC test refusal. These penalties are administrative only and are considered civil in nature. They are imposed even if you are ultimately found not guilty of DUI after a criminal trial. How do I get my license back after Delaware administrative license suspension? 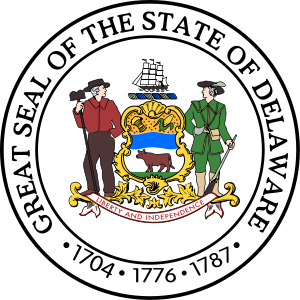 According to the Delaware Department of Motor Vehicles all inquiries about a license revocation or suspension should be directed to the Delaware Motor Vehicle Revocation Section (Phone: 302.744.2508). If you have to take an alcohol evaluation course and need information you can contact the Delaware DUI Evaluation/Referral Unit 800.551.6464 for Kent and Sussex Counties. For New Castle County and out of state residents, call 302.656.2810. Drivers who have had their license suspended but wish to request an administrative hearing can contact a DUI lawyer for more information and discuss the possibility of having the DUI lawyer represent them at the hearing. Second DUI - will I go to jail?